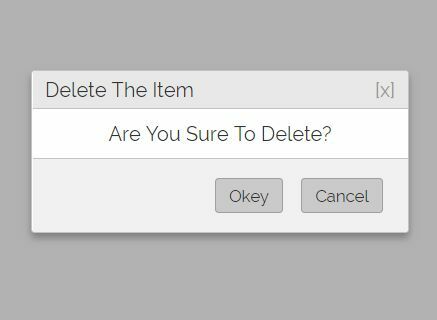 ssDialog is a super tiny jQuery modal plugin that make it easier to create message or confirm boxes with one line of source code. Cross browser. Supports almost all modern browsers even IE 7/8. Extremely clean. No animation. No overlay. This awesome jQuery plugin is developed by kjirou. For more Advanced Usages, please check the demo page or visit the official website.